NeedPens.com - metal pen with wide body, Custom Pens with Logo. 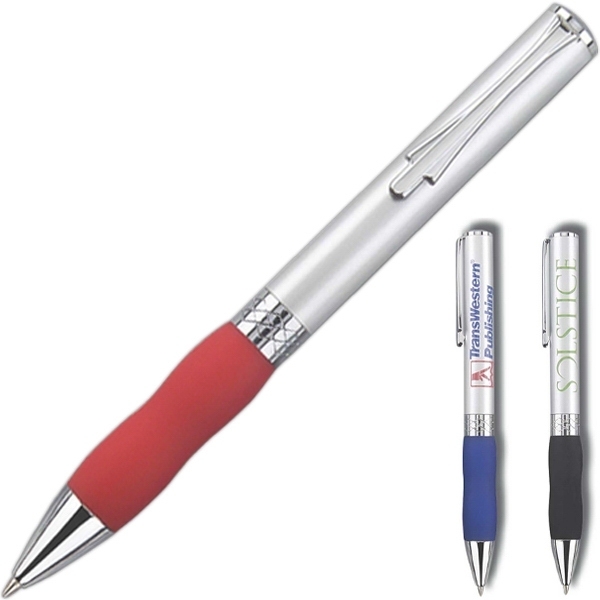 Twist action ballpoint metal pen with wide body and satin chrome finish, including an ultra soft grip and an elegant design clip. 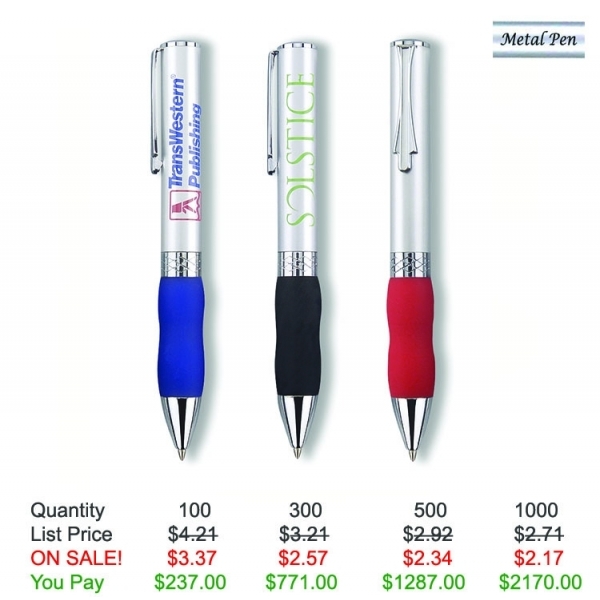 Save on our Custom Metal Pens with Free setup, Free rush service, Free Artwork and Free Shipping. No buddy has better deals! 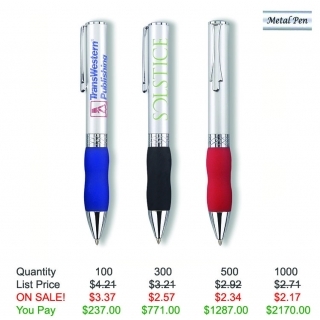 Product Features: Satin chrome cap with translucent color barrel with chrome clip and accents. Imprint Color: Black, Blue, Burgundy, Green, Navy, Red, Silver, Yellow, Teal, White..